We had sunshine. We had rain. Why wouldn't we have a day full of wind?! It was actually so windy that they basically shut the beach down--sand bursts were happening & pelting guests in the face. We had these grand plans of spending more time at the beach and less time at the pool but that wasn't going to be the plan for this day. We were headed to the pool & the pool is where we would be. all. day. long. But this pool is a little more conducive when it comes to teaching a kid to swim. Its four feet which allows us adults to touch and Kaden to push off the bottom pretty easily. After a couple days at the pool and me showing him how to come back up for air, he got it. & we all couldn't have been any prouder of him. 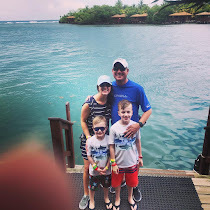 Besides teaching Kaden how to swim, we played ball in the water, played hide & seek, went on a scavenger hunt put on by the resort---kids looked for things like a red popsicle stick, wood glue, deck of cards---really kid friendly stuff! 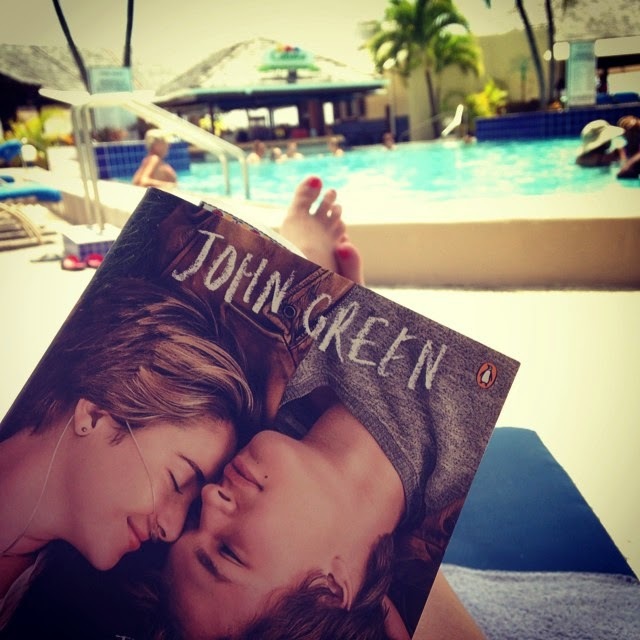 I not only worked on my tan but I also managed to put a very good dint in my book. & although it was VERY windy, we weren't too upset, the pool still ended up being a very relaxing spot to be for the day & the view of the ocean was still as beautiful as the day before. We continued our dinner routine of walking across the street to see what we could find and Skip Jack's was on the menu tonight. A sheer 30 yards from our doorstep & delicious. & the lobsters at this place were even bigger than the ones we ate on night one.